Most HR practices are still very much focused on individuals. Today teams, and networks of teams and individuals, are increasingly important. Analysing organisational networks is an important skill for the HR professional, and it has become a lot easier with current technology. In 2012 I had a lot of fun with LinkedIn Maps. Unfortunately, since 2014 this feature is no longer included in LinkedIn (for unclear reasons). Below you see my LinkedIn Map, as per October 2012. The map simply gives an overview to whom I am connected, and how my relations are connected to each other. Even with such a simple map, you can detect ‘connectors’. Example: on the right side, you see a purple group and below an orange group. In those days, I was working for Arcadis. The purple group is ‘senior/ established’ Arcadis (my primary domain), the orange group was the group of young/high potentials in the company. You can see a couple of orange dots, those are the people connecting the two groups. If this was a map of all the employees in a fast-growing organisation, and purple was Europe and orange Asia, and you wanted to grow the business in Asia, the connectors are the ideal people to help to transfer knowledge to Asia, and to make the connections between Europe and Asia stronger. 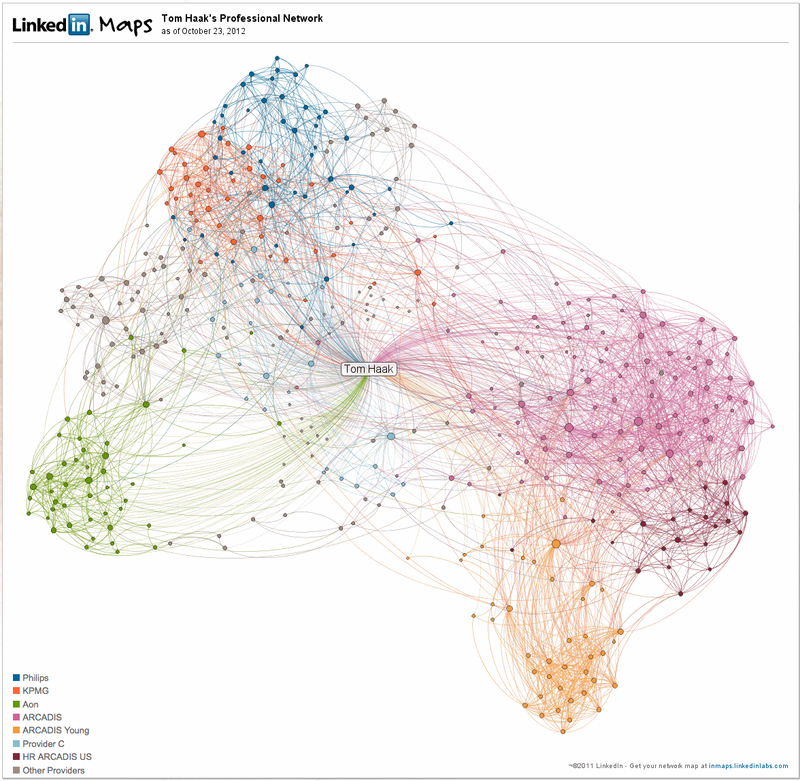 By mapping the networks of people in your organisation, you can learn a lot. Selection: does a candidate have a strong network? If you hire a candidate, you not only hire him or her, but you also get a better connection to the candidate’s network. It might be useful to get an indication of the strength of the network, as part of the selection process. Not only to get more insight in the strength of the network, but also to get a better view on the networking capabilities of the candidate. The Klout Score is a number between 1-100 that gives an indication of the strength of someone’s network. The more influential you are, the higher your Klout Score. Barack Obama, for example, has a Klout Score of 99. My current Klout Score is 62, in the picture below you will find my profile page. 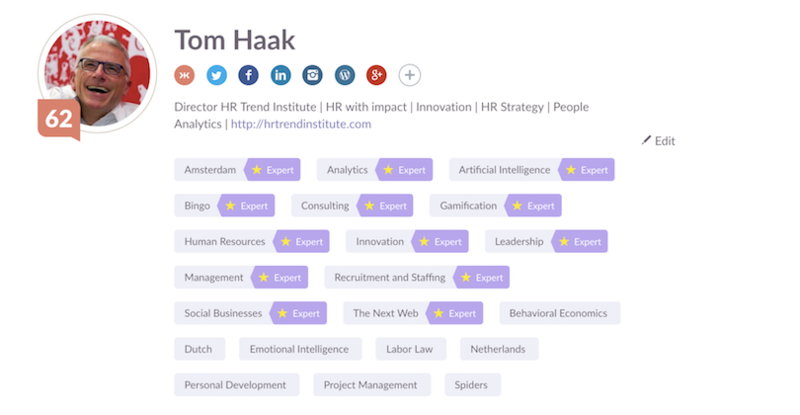 Klout also gives you an overview your expert areas. One of my expert areas is Bingo. I guess this is, because I once wrote a blog post called “Change Resistance Bingo“, which was shared widely. 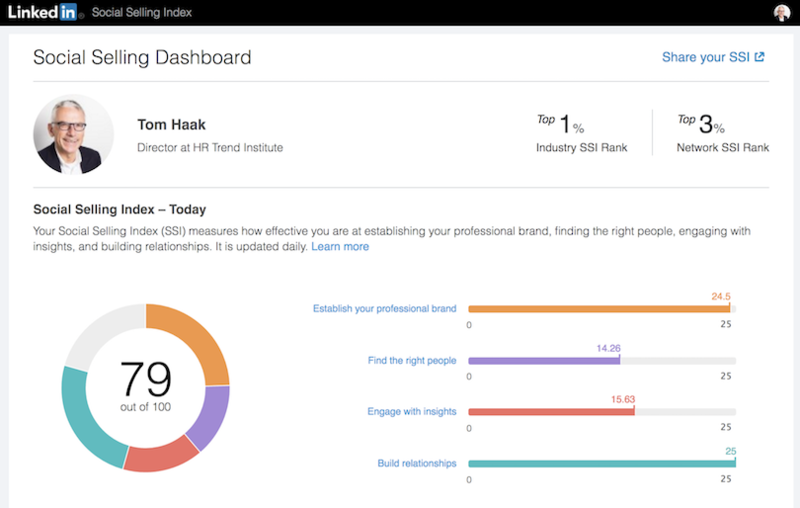 LinkedIn has the Social Selling Index, which is unfortunately not free, but they allow you to get your free score once. Below my Social Selling Dashboard of April 30, 2017. If you collect the Klout Score and the Social Selling Index of applicants, you have some data points you can use in the interview, and for some analysis when you know more about the performance of the people you hired. They might be good predictors of future success. The traditional talent identification processes are rather poor (read the paragraph “Talent identification: a waste of time” in my article “Talent everywhere“). 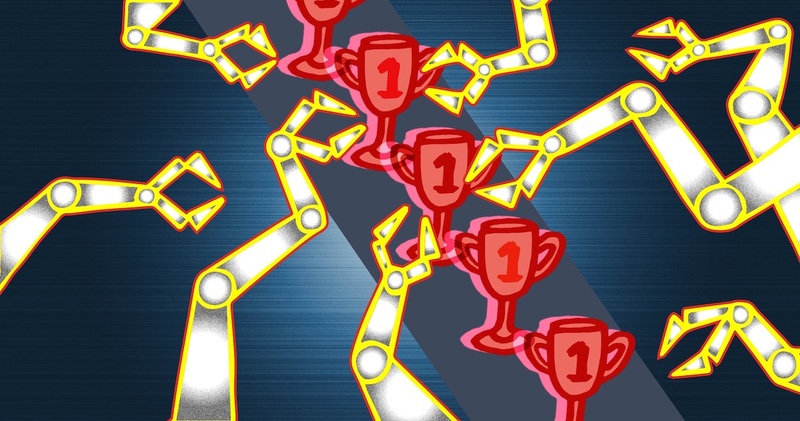 If you have a good map of the networks in your organisation (as the LinkedIn map at the beginning of this article), you might be able to detect unexpected talent (and not only the people who are good in managing their bosses). Research has shown (see the articles of Michael Simmons under Further Reading) that networking capabilities, and the strength of internal and external networks are one of the predictors of career success. Especially in international assignments, people who have a strong support network and a good local network at the start are more successful than others. “Prior to the move, BCG engaged a firm called Humanyze to capture employee interaction patterns and movements throughout existing workspaces. A group of volunteers wore sensors developed at the MIT Media Lab to quantify where people spent time and how they moved around, and to map the knowledge and influence network. The data was then analysed at an aggregate level to determine the “collision coefficient,” as Love calls it. In the coming weeks, the firm will do the same thing in the new office to analyse the shifts in time allocation and networks, which provide an objective view of how the space influences work culture, and to assess the improvement in organisational performance”. You can imagine that organisational network mapping can be very useful for HR, to make improvements in various other areas, such as improving (global) collaboration, internal communications, training and succession management. Tom Haak: Is my network attractive enough? 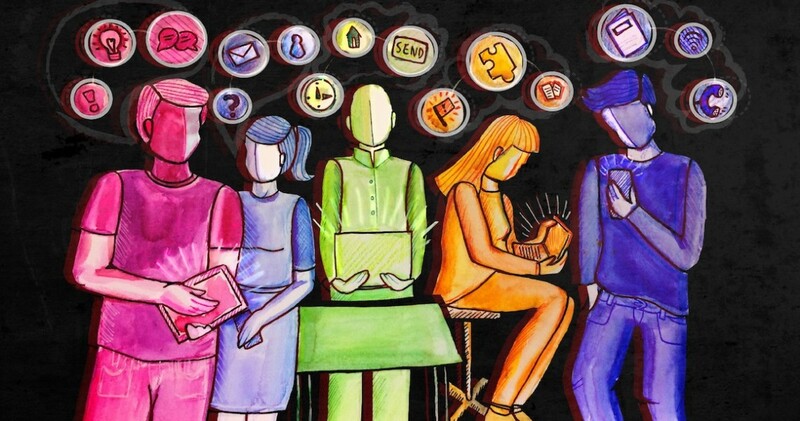 Tom Haak: Who owns the people data? Robert Paterson: My network revealed – now what can you learn about yours?